Looking for a memorable experience? Ticking one off the bucket list? Searching for the thrill and exhilaration of the ultimate adrenaline rush? Let our tandem instructors bring you on the ultimate ride! Ready for the next stage? Raring to go solo? Want to get cleared to jump on your own and explore that wide expanse of sky? Our Accelerated Freefall (AFF) instructors will bring you up to speed and teach you all the skills you need to fly free! Cleared your AFF? Still hungry for more freedom? Want to jump with your friends and do crazy stuff in the sky? We offer coached jumps to help you get your internationally recognized skydiving license, as well as check-out dives for USPA A, B, C, and D licences. If you’re experienced and have been out of the sport for too long, we offer recurrency training and refresher jumps too! What’s next, now that you’ve got a hundred jumps? Two hundred? Five hundred? One thousand? Join us in getting your ratings. We can help you on your journey to be a USPA rated coach, AFF, static-line and even tandem instructor! 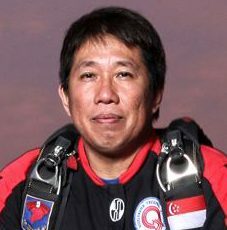 We are a group of skydivers from Singapore, made up of USPA rated coaches, AFF instructors, tandem instructors, and an examiner. We are currently operating out of dropzones around Southeast Asia, in countries like Thailand, Indonesia and Malaysia. We welcome students from all walks of life, or if you are an experienced skydiver dropping by for a visit and would like to find new people to jump with in the region, we can hook you up as well! We are passionate about what we do, and would like nothing more than to introduce the joy of skydiving to people for the first time, and help you make new friends as you join us in the skydiving community! What started off as a crazy idea to jump out of a plane eventually led to Simon juggling between music, his day job, and skydiving. Since 2010, he’s been coaching and skydiving competitively. 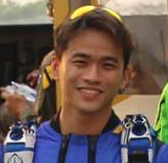 Danniel started jumping in 1982 with the Singapore Armed Forces (SAF). Starting off as a military instructor in 1987, he eventually earned his USPA instructional ratings in 1996. 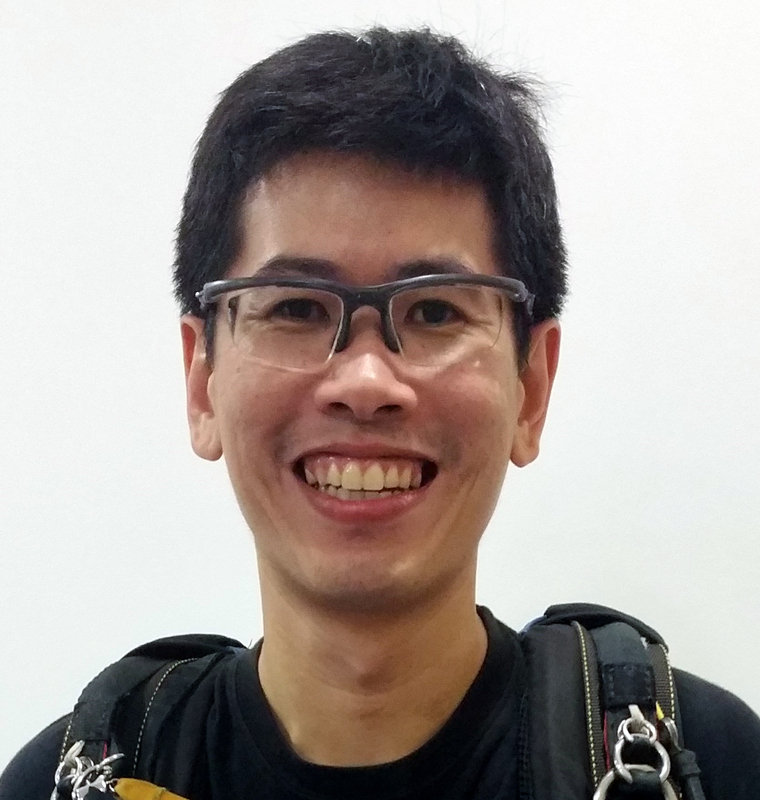 He has been involved in most of Asia’s AFF/Tandem Rating Courses as a Course Director. After his first jump in 2007, Jack became hooked, and went on to earn his AFF and tandem instructor ratings in 2013. He is now an odd-job labourer – magician, musician, and skydiving instructor. Tian Rui’s skydiving journey began in 2009. 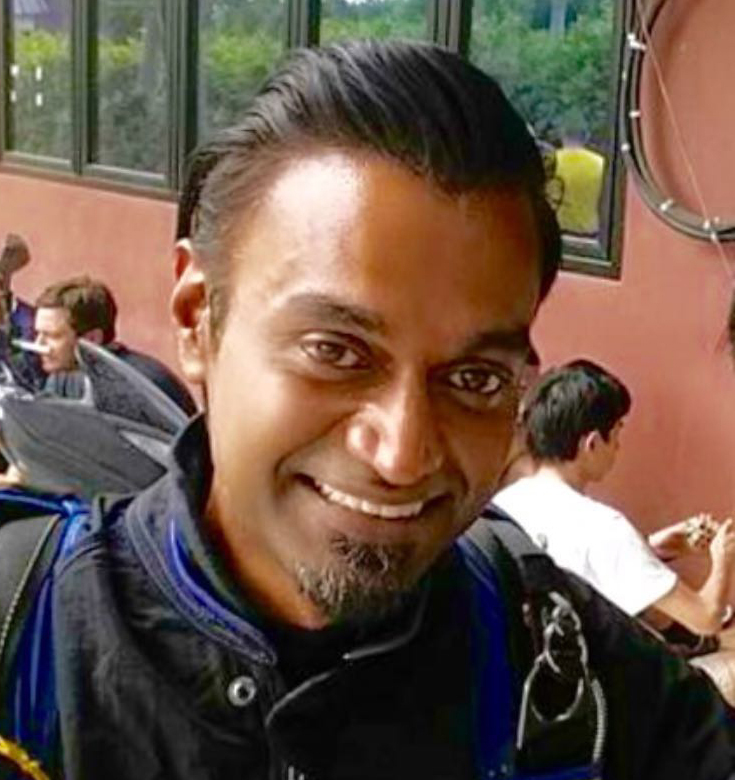 Despite his busy schedule as a doctor, he has jumped all around the world, and even has an Asian formation skydiving world record under his belt.